When designing floor layouts in plan view I frequently use a mass to quickly tell me the building's gross floor area as the design evolves. Because I'm working in plan view so much it's quicker to model the mass in place using an extruded generic model with the mass floors applied. 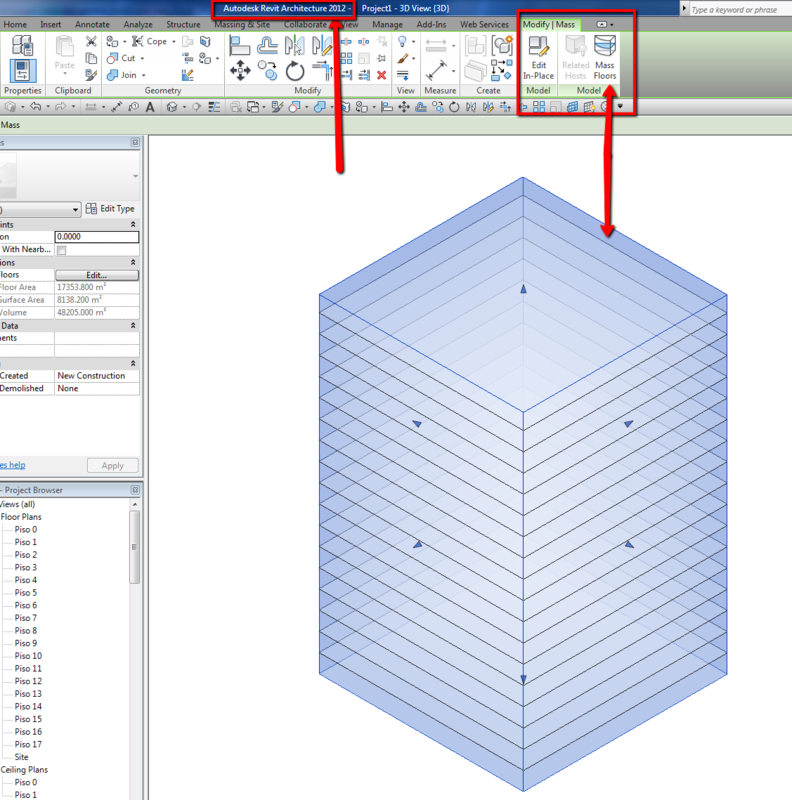 This workflow worked nicely in 2011 but in 2012 the mass floors button is grayed out preventing me from applying mass floors to the mass. Does anyone know why the mass floors button is grayed out. Thanks. I don't have any problem with that, is that a mass??? Did you create the mass using 'In-Place Mass' in 'Massing & Site'? If so try creating the mass by going to Home, Component, Model In-Place, Generic Models and Extrusion. Once the mass has been created pick the mass and mass floors will be grayed out (screenshot attached). Strictly speaking I'm not sure if this is classed as a mass. Did you create that in "MASS" category? NO... look your image, can you see??? Top/left corner "Modify|Generic Models", if that object was created in "MASS" category you will see "Modify|Mass". I have to model it this way because when I model it via MASSING & SITE > IN PLACE MASS I do not have the options for SWEEP BLEND - WHICH I NEED!!!! It seems I cannot MASS FLOORS when it is a GENERIC MODEL though! COME ON !!!! What the heck do I do? I have tried sweeping the profile in an IN PLACE MASS with no success, I keep getting a million errors of intersecting paths etc. Question: Why SWEEP BLEND to create that form? Did you tried (in MASS category) to create the bottom profile, then the upper profile, select both then create form? 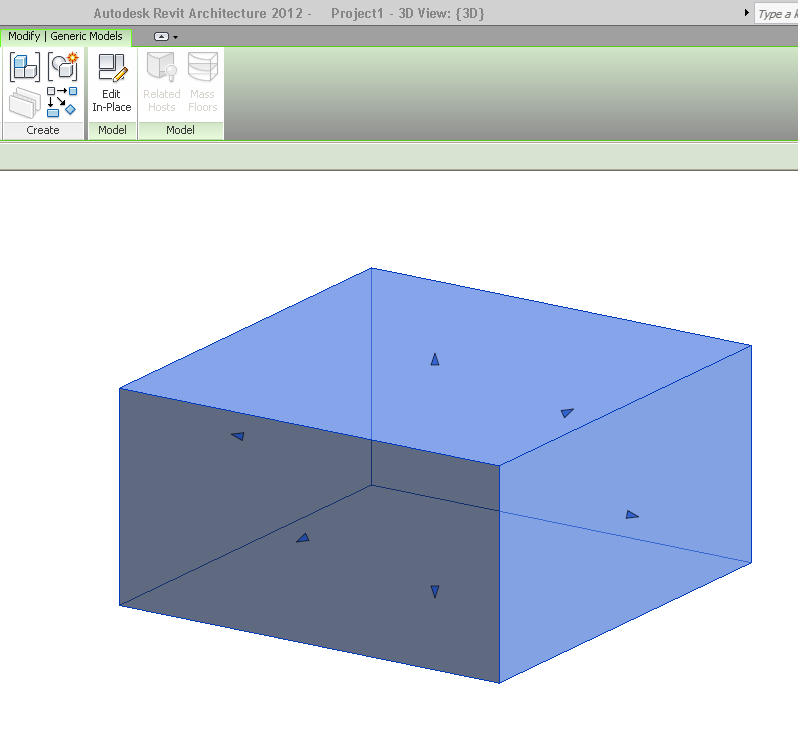 [Revit 2010] Mass form usable as generic model or any structural element?